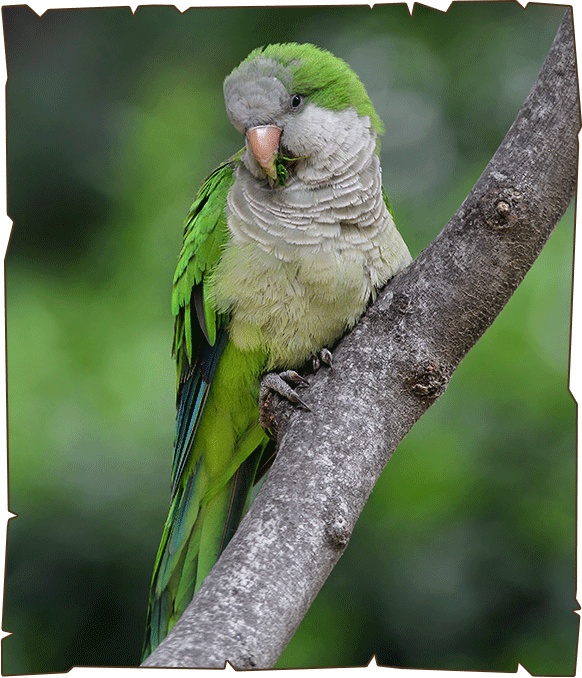 The Monk Parakeet is also known as the Quaker Parrot. It is a small, bright-green parrot with a greyish breast and greenish-yellow abdomen. In most taxonomies, it is classified as the only member of the genus Myiopsitta. It originates from the temperate to the subtropical areas of Argentina and the surrounding countries in South America. The nominate subspecies of this parakeet is 29cm long on average, with a 48 cm wingspan and weighs 100g. Females tend to be 10% - 20% smaller. Monk parakeets are highly intelligent, social birds.